Get This Entire Collection FREE As My Gift To You For Joining Our Newsletter! What is The 3-Percenter Report? The fact is: what I want to share with you each month is information that is so “Underground” that I can’t possibly post it anywhere online – because the NSA and their digital spies would be all over it! The story dates back to 1775. During the American Revolution, you might be surprised to learn that those men and women fighting against the King’s tyranny were the tiniest of minorities. The revolutionary forces never amounted, in fact, to more than three percent of the colonists. Of the remainder of Americans, maybe twenty percent more were at least sympathetic to the cause, but did little or nothing to support it. In fact, by the end of the revolutionary war, there were actually more American colonists fighting FOR the King than were actually in the field fighting against him. These people took no side. They simply rolled with the winds of circumstance, ready to accept whatever resulted from the tumultuous events around them. They were, essentially, DEAD WEIGHT, carried into the future by whichever side won the war. Does that sound at all familiar to you? First is “Caleb’s Rant” where I’ll sound off and give you my take on the current issues we’re all facing … what we can all do to make it better … and … introduce the current issue. Because you can’t always carry a gun or knife … This will be ongoing training focused on using your hands to defend yourself. 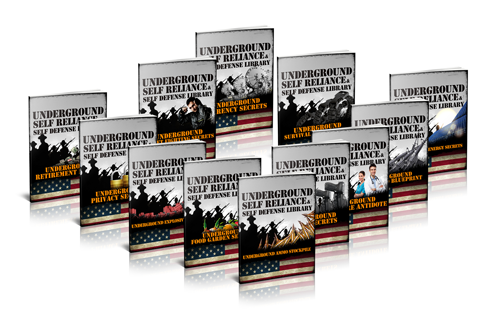 Each month you’ll get more and more information I’ve discovered from my years of martial arts and training (including what I’ve learned one-on-one from the man that practically invented the Navy SEALS hand-to-hand combat system) that will help you in a life-or-death situation. You’ll also get a Review section where I review the latest self-reliance tools and gear. In special issues you’ll receive updates or otherwise important information that doesn’t fit into our normal “sections” but are nonetheless priceless information. 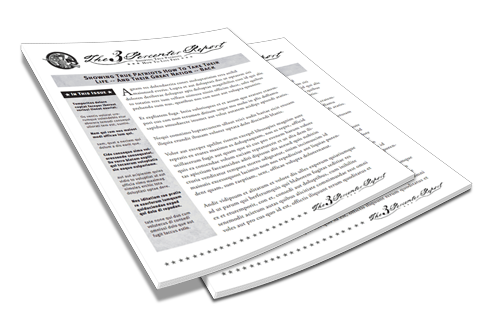 If the idea of becoming a “3-Percenter” sounds appealing to you … if you want to continue your preparedness, self-reliance and self defense education on a monthly basis … then I’m inviting you today to join The 3-Percenter Report. Simple click here and you’ll be taken to our secure order page where you can claim your spot immediately. To see our complete terms of service and sales, please click here.